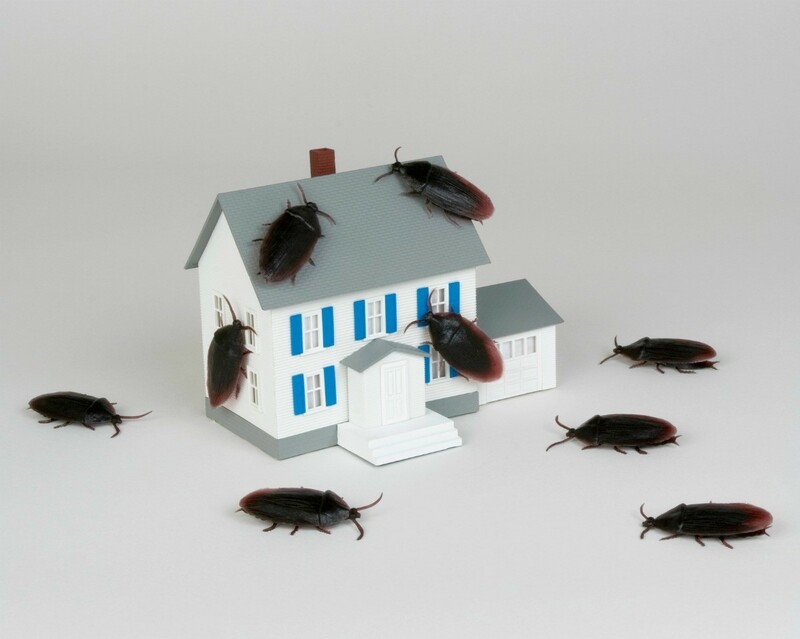 When leaving a home or apartment that had a cockroach infestation, you will need to be careful not to take them with you to your new residence. This is a guide about moving and leaving the cockroaches behind. We are moving in a week and there are roaches everywhere. How do I stop them from going with us? When I moved from a place that was crawling with cockroaches, I sprayed an ant and roach killer along the sides on the inside of the boxes, then packed them. I made sure that all my food was placed in plastic containers, and I didn't spray the boxes it was going into. I surrounded the outsides of all the boxes with boric acid powder, and I left the boxes in the middle of the floor until we could move them the next morning. We didn't take one cockroach with us, and I haven't had cockroaches in 23 years. I also wouldn't take anything I didn't have to take, to reduce your chances of carrying anything. You may also want to put some boric acid powder in your new home (cupboards, where you'll put the fridge and stove, bathroom cabinets, etc.) just in case any escape your original efforts. Boric acid is the only thing I trust to get rid of roaches, and it's cheap. Bomb before you pack, after, and a third time in you're in the new place. Open up and check everything! Especially electronics! I am moving from a cockroach apartment to a cockroach-free place in a few weeks. Our bugs arent bad...yet. We usually see two or 3 a night in the bathroom or kitchen. Our plan, since my roommate and I are only moving across town, is to place boxes in my truck AS WE PACK THEM, checking every item carefully for roaches, and then drive them across town as soon as we have a truckload. i.e. get everything bug free out of the house as soon as its ready to go. Hopefully this works. We're throwing out the toaster and the microwave. Editor's Note: They also hide in other electronics, radios, tvs, etc. We moved once from a cockroach house and watched the babies hatch from the radio for about a month afterward. Terdralynn is correct. Boric acid kills 100% of roaches and it's cheap. You can mix in a little powdered sugar if you want or even add some flour and make balls out of it. The plain powder works really well because the roaches are like cats and clean themselves so they will ingest it and the rest of the colony will eat the dead body and kill themselves from the contamination. It is dangerous to pets and children so keep it away from them. So the apartment I have been staying for the past year has had roaches and they've recently gotten worse. I can't seem to figure out how not to take them with me. They are popping up now more frequently in things like the bathroom and the kitchen. I am pitching the toaster, microwave, and anything opened. Roaches are difficult to completely erradicate and require constant vigilance to remove. Unfortunately, no matter what roach avoidance method you try, you will most probably take some roaches to your next home. However, the best plan is to check through each item you pack carefully and thoroughly, including the boxes and bags you use to pack items (roaches love the glue in the boxes and bags!). Also check your car or truck for roaches, as well. In your new place, again check literally each item carefully and especially, of course, food. Once you are settled, always be on the lookout for new roach invasions-store all food carefully, remove boxes and bags you are not using, etc. How can you tell if your stuff has cockroaches in it before you move out? Do you have to get rid of your things? i sprayed everything i owned, especially in the kitchen, with alcohol and things that i could not get wet i powdered with boric acid. When I unpacked every box i wiped everything in the contents in this way and disposed of the boxes. This is always a problem when you move from one location to another if you have roaches. I lived in one apartment that was infested with roaches. Even though they sprayed several times I still had them. I needed to get out of there quickly. I ended up spraying all of my boxes with alcohol and packed them one at a time to ensure there were no roaches in them. After I packed one box I immediately moved it out of the house to the car. I moved several boxes at a time and did not move them into the new place until I was positive there were no more roaches in my affairs. Unpack right away and roach bomb your house after you move in. --Pack everything at the truck (making sure first that the truck is clean and doesn't have any critters of its own). --Shake everything out before putting it in the box/tub, put the box/tub right into the truck and repeat. This is easiest with small moves...if you have a lot of stuff, it will be challenging...but from experience, I know this is the only way. I once rented a room in a mcmansion in the DC area and the roaches were the size of small children ...the landlord kept a clean house too...but she lived in an area that was just teeming with them as there was a lot of new construction...it was a nightmare...she had the exterminator on speed dial. I lasted 1 month there and when I moved out, this was what I had to do as I didn't want to take these giant creatures to my new place. This has logistical challenges, like if you are trying to pack and move over a period of time it can be challenging, but I made it to my new place pest free. Usually the first thing to learn is where do roaches like to live and what do they like to eat.. Think about how to use as little of their favorite foods as possible. Roaches love newspaper, paper products, corrugated cardboard (boxes) and especially if it gets even a little damp. Since I would never be able to pack my boxes outside (and roaches can be hiding in the boxes already) I try to use only new boxes or plastic containers (also use large garbage cans for linens, heavy winter items, (some Walmart's have these for $10) or the special vacuum seal bags that really work..
You can use diatomaceous earth (DE) (FOOD GRADE ONLY) or 20 Mule Team Borax to eliminate these dirty bugs. I would recommend using diatomaceous-earth (DE) over 20 Mule Team Borax if there are children or pets around (just to be safe). Buy a couple of boxes of 20 Mule Team Borax and sprinkle the bottom of boxes/containers before starting to pack. Do this with every box/container. You can place a towel over the borax or just place your clean items (clothing, dishes, almost anything) in the box and close and seal with duck tape. Write what box contains on top/sides so it can go to the correct room when moved. Try not to take any more food than necessary and be sure to keep those boxes where they can be removed/opened first. Borax can go in the bottom of these boxes also. DE is very good for this as it is safe to use on shelving too - use anywhere in your home. Try to not use Styrofoam as this also attracts roaches. These bugs love to live in the Styrofoam that is usually in the pots of artificial plants!! Borax can also be used at your new home - some people like to mix it with cornstarch but that is not necessary. Sprinkle it around the inside of bottom kitchen and bathroom cabinets and on the floor close to the baseboards. If using diatomaceous-earth just use it in the same manner as described for the Borax. Has anyone tried leaving their things outside in a garage or car in freezing weather to prevent moving cockroaches with them? Do cockroaches freeze to death? If so, how long does it take? Roaches are very hardy. I would bomb my place before I moved. I would also pack eight sway. Roaches lay eggs in cardboard boxes and paper bags. Dispose of those quickly. Vacuum often. Throw away the bag outside if your vacuum has one. Put some mothballs in your boxes as you pack them up and it will kill any roaches/eggs. Freezing weather will not affect them. They have been around for millions of years and can handle freezing weather just fine. apparently this is 'birth control' for roaches, it disrupts the breeding cycle so they can't reproduce. When packing boxes, if I taped the top and bottom flaps down as well as around the top and bottom, do you think that would keep the roaches out of the boxes until I move? Not necessarily, Roaches eat cardboard, so they can eat thru the boxes. They can also already be inside the contents of the box. A lot of cardboard is still made with glue and roaches (and some other bugs) love this stuff! When I have to pack boxes for temporary or long term storage I always sprinkle either Diatomaceous Earth (food grade only) or 20 Mule Team Borax in the bottom of the box and on top if possible. It does not matter what you are storing as neither of these products will harm your items or any pets or humans (when used properly. If you are storing clothing then you may want to wash when you remove from storage - but you would do that anyway - right? Would you see where they have eaten the box though? I am allergic to most chemicals. What can I do to ensure I don't move these roaches with me to my new place? I have a TV, microwave, radio, and antiques. I also have pets, etc. I can't bomb, I can't spray, I can't hurt the animals, or leave any residue on anything. Is there a solution to this problem? You may have to discard some small electronics and other infested items, but it is worth it in the end. if you have them now (which it sounds like you do) then they are inside the workings of your tc, and radio and such. I used to work for a utility company and we found them inside outlets, phone jacks and inside peoples telephones. You probably need a professional to help. I had a horrific German cockroach infestation (those are the smaller ones) that I effectively did transfer from one rental home to another. When we finally 'bought' a home I vowed I would not bring them over. But like you I'm not into chemicals. If I remember correctly, the main things I used were white vinegar and borax. As quickly as I could, I opened and put away everything in the kitchen area and disposed of the boxes in the curb. I poured gallons, practically, of borax on every surface and on top of the boxes I'd not opened yet. I spread a film of borax everywhere. Especially the corners. And before putting everything in its home, whether it was an appliance, dishes, pots, or foodstuffs, I would douse it or wipe it down with vinegar. I only focused on kitchen things and it worked,I didn't see one nasty cockroach in that house for the whole time we lived there.